the 400-year-old capital city of the state of New Mexico. 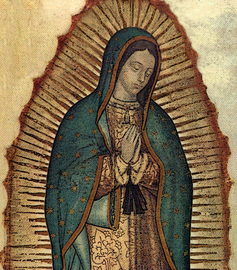 the Holy Queen, and the Holy Mother of God. 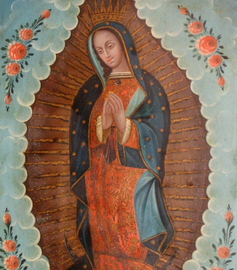 Learn more about her universal message of love, compassion, charity, and devotion here at MyGuadalupe.com, where you will also find "all things Guadalupe" to inspire your daily life and/or to share with others. 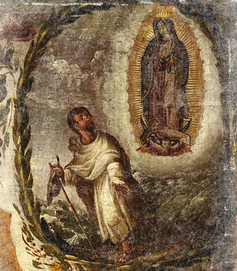 You may even wish to book a trip with us to discover Santa Fe, home of the Guadalupe Barrio and Santuario, where she is still held sacred and remains a thriving part of life, family, culture and community.